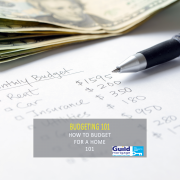 Creating a monthly budget that helps you track your spending is one of the best ways to achieve your home buying goals. 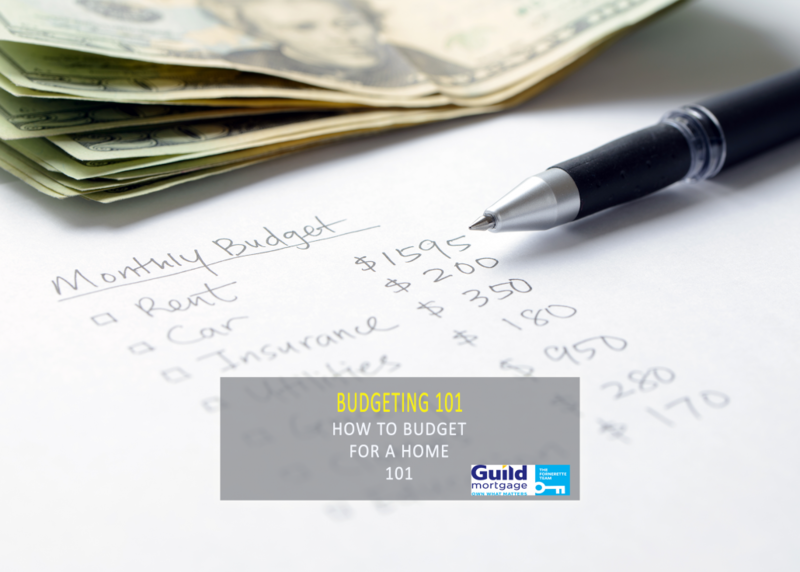 Here are 3 essential pieces of creating a budget for a home. You have many payments going in and out of your bank account every month, but can you identify your specific spending habits? Are you spending a ton in coffee purchases when you could be making coffee at home? Are you going out to eat a few times a week, when you could be making meals at home? By creating a written budget, you’re able to identify areas where you can save more money. You’re also going to be more conscious of how you spend your money on a daily basis since it will be tracked. Pick a method that works for you: paper and pen, excel spreadsheet, or smartphone app. Whatever method you choose, you will become more informed on your spending habits. If you have an idea of where you’d like to buy, chances are you can gauge an estimate of how much money you’ll need in the down payment and closing costs. So now that you’ve created the budget, it’s important that you know your weekly, monthly, and yearly goals. If your goal is to save $15,000 for your home’s down payment and closing costs, you can break that down into $1,250 a month or $288 a week. By seeing the concrete amount you need for your home, you can hold yourself accountable to reaching your goals. Just like any goal, the key to success is tracking and accountability. If you see you’ve spent $50 over your weekly spending one week, it’s up to you to find a way to spend $50 less the next week. By keeping yourself on a strict plan, you’ll see the best results. It’s easy to make excuses, but in the end, you’ll be happy you stayed on track when you have saved up all of your funds. This is tough for some people since it means changing some plans with family and friends. Instead of planning to go out to a nice restaurant every week to meet up with your friends, suggest that you do a rotating dinner party. You will save a ton of money overtime, and your friends will understand the reasoning behind the change. This doesn’t mean that you can’t celebrate special occasions, it just means you need to keep track of what you spend and celebrate accordingly.